Celebrities and politicians are not the only entities on social media to conduct monstrous fails. Corporations aren’t far behind. Over the years, some well-known companies have committed such abysmal, social-media disasters that we don’t know how they survived the aftermath. The following instances of #PRFail aren’t intentional (we hope), but it just goes to show you that, when you have interns and error-prone people handling your social media accounts, even the biggest companies on Earth can be humbled pretty quickly. Below, in no particular order, are the worst of the worst (so far). The Space Shuttle Challenger Disaster was a tragedy that shocked the world in 1986. Many watched the event unfold on television, and images of the orbiter’s explosion is still vivid in many people’s minds. It’s not something one should carelessly reference, but that’s exactly what happened to apparel retailer American Apparel – in social media marketing gone terribly wrong. American Apparel is known for its provocative ads, but even this is a bit much. In 2014, American Apparel posted an image of the space shuttle exploding on its Tumblr stream, accompanied by the tags #smoke and #clouds, to celebrate the Fourth of July on its Tumblr stream. The company removed the image, but not after it was already too late. American Apparel apologized for the incident, blaming it on one of its “international social media employees” who was born after the tragedy. Still, it’s hard to imagine how anyone could mistake the image as one of fireworks. KitchenAid is a company known for its appliances, but it inadvertently stepped into the political blood sport arena with a tweet in reference to President Barack Obama during the 2012 presidential debates. KitchenAid’s official American account posted a tweet that implied President Obama’s grandma died because she knew how badly his first term would be. Obama’s grandma passed right before his election in 2008 and he’d mentioned her during one of the 2012 debates. Of course, the company immediately went into PR-disaster mode, tweeting a personal apology to Obama and issuing a statement that one of its employees made the tweet from the company’s official account instead of a personal account – one of social media’s haphazards. The employee was also removed. KitchenAid makes pretty great kitchen appliances, but it definitely should leave the political commentary to someone else. Airlines are beefing up their social media teams, using Twitter and Facebook as new channels for assisting customers. But even with a large team working behind the scenes, they aren’t immune to social media’s pitfalls. Case in point: In 2014, US Airways tweeted a female masturbation picture as a reply to a disgruntled customer, as part of a string of messages. More uncomfortably, the image actually stayed up on the airline’s Twitter account for more than an hour before it was removed. Holy slow response, Batman! US Airways came out with an apologetic tweet that read more like a dry form letter, but in the airline’s defense, it was an accident. The NSFW image, contained in a link, had been sent to US Airways from another Twitter user. But in the aforementioned incident, an employee inadvertently included that link in a response to a customer complaint. Sorry, we can’t show you the offending tweet. But here’s a nice photo of a US Airways plane. The airline’s Twitter account is now nothing more than a memory. Since merging with American Airlines, all social media activity is handled by American; US Airways’ Twitter page has a tranquil image of an American Airlines jet and the message, “This account is now closed,” while its Facebook account redirects to American’s. 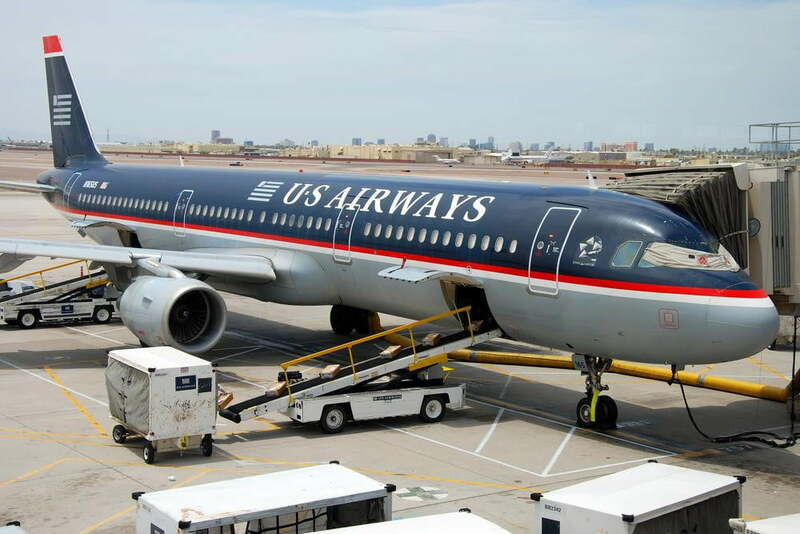 US Airways ceases operating as a brand in October 2015. DiGiorno knows pizza, and it knows social media can be highly effective; its 2013 live-tweet of NBC’s reboot of The Sound of Music was genius. But that doesn’t mean the company understands social media completely. In 2014, the company mistakenly made light of domestic violence by failing to understand what the #WhyIStayed hashtag was all about. The hashtag was meant for a discussion about domestic violence, but the pizza company jumped into that tweet chat with a self-promoting message for its products. Naturally, it came off as insensitive and opportunistic – not to mention unintentionally comedic. DiGiorno apologized – really apologized – but, according to Adweek, unlike bakery Entenmann’s, which simply shut down its account when it couldn’t take the heat from its #NotGuilty tweet, DiGiorno did its best with its mea culpa and acknowledged its mistake. Still, DiGiorno – and any company using social media – should understand the context behind trending hashtags. It’s hard for big brands to pull off successful Twitter campaigns when there are haters waiting to tear the company apart. Take McDonald’s, for example: When the company announced that none other than Ronald McDonald himself would begin tweeting under the #RonaldMcDonald hashtag, all hell broke loose. Everyone, from unions angry about the minimum wage to animal-rights sympathizers, let McDonald’s have it. Of course, there was the odd tweet that showed a positive McDonald’s experience, but that wasn’t nearly enough to turn the ill-fated campaign around. Perhaps McDonald’s should take a page from Burger King’s playbook, when its mascot generated publicity after being spotted as part of Floyd Mayweather Jr.’s entourage. That stunt, however, reportedly cost Burger King $1 million. Although Delta Air Lines offers flights to Ghana’s capital, Accra, it may need to brush up on some of the destination’s factoids. When the airline tried to congratulate Team U.S.A. for beating Ghana 2-1 during a 2014 World Cup championship match, a seemingly innocuous tweet turned into a gaffe. In the tweet, Delta showed the score with a silhouette of a giraffe behind “1” for Ghana and the Statue of Liberty behind “2” for the U.S. But some users were quick to point out there are no giraffes in this African nation. Delta then did what any company does when faced with public humiliation: It went into damage control mode. However, it screwed things up even more when it referred to its errant tweet as its “precious” tweet instead of its “previous” tweet. Talk about a comedy of errors! Compared with the other tweet fails here, Delta’s could be considered relatively minor. But if you’re in the business of getting people from one place to another, you better make sure you know where you’re taking them. The Onion prides itself on being the master of satire, but with one insanely misjudged tweet in 2013, it proved that it was actually just too clever by half. Quvenzhane Wallis was a then-nine-year-old actress who entered the history books as the youngest actress ever to be nominated for an Oscar. Completely mishandling the concept of satire that it apparently became famous for over the years, the Onion tweeted that she was a c***. To be fair, the publication probably was trying to mock America’s preoccupation with child stars, but its execution of this jab was catastrophic to say the least. After a firestorm on Twitter, the company’s CEO, Steve Hannah, issued an apology to Wallis, saying the tweet was “crude and offensive” and that it was inconsistent with its commitment to parody and satire. Hannah assured everyone that the people behind the tweet would be dealt with accordingly.